I fell down a rabbit hole yesterday. It started when I remembered that Brad and I had a blog from when we first moved to Tokyo. At first, I just wanted to read the posts from Thanksgiving in 2008 but then I just couldn't stop. I'm thankful that we started The White's in Tokyo and were able to document some of our earliest thoughts and feelings after moving to a brand new country that we had never been to before. Truthfully, I had forgotten a lot about those first days, weeks and months when everything- even a trip to the grocery store- was so new and different from anything I'd known before. After so much reminiscing about Thanksgiving in Japan, this leftover turkey sandwich seemed even more appropriate to post this week. The sandwich is simple and combines traditional Thanksgiving flavors with one of my favorite Japanese ingredients: miso. 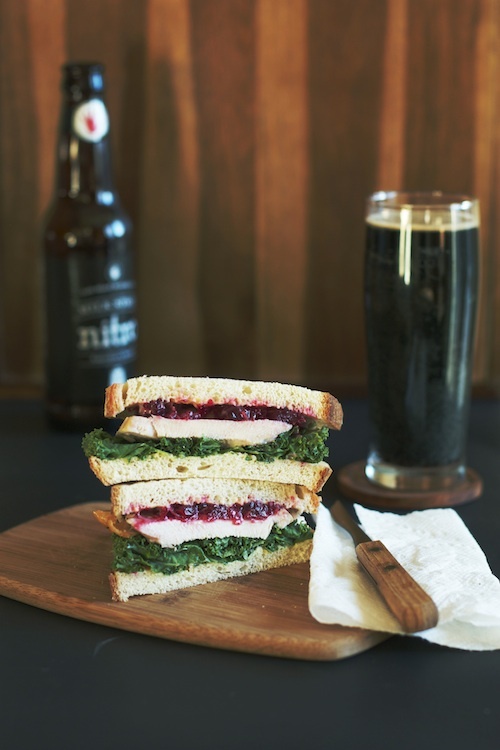 It's subtle and marries perfectly with thickly sliced roasted turkey and tangy cranberry sauce. The day after Thanksgiving usually leaves me feeling anything but healthy, so I added some beautiful green kale as well. The result is a sandwich that perfectly closes out Thanksgiving week (or carries it on through the weekend). There isn't really a "recipe" except for the miso mayo, so I've included that below along with how I built my sandwich. What's going on your leftover turkey sandwich? Combine the mayonnaise and miso in a small bowl. Whisk until smooth. Spread each slice of bread with miso mayo. 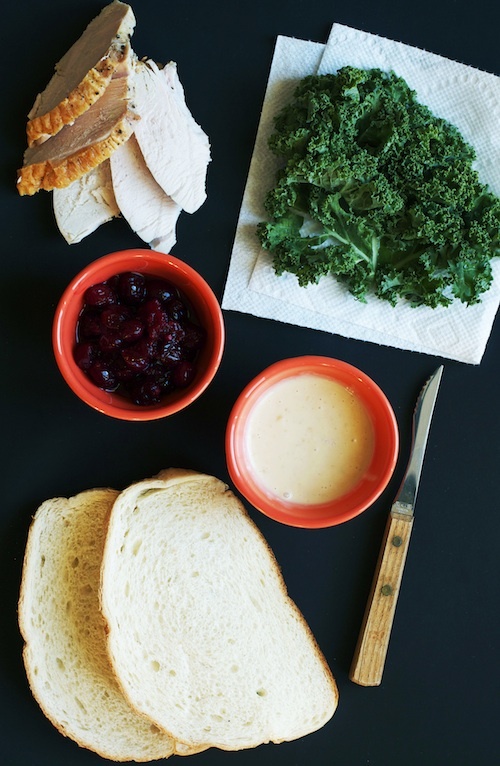 Spread the cranberry sauce on one slice of bread and top with the kale and turkey. Top with the second slice of bread and cut the sandwich in half.